These products were developed by Quanterion Solutions for the Reliability Information Analysis Center (RIAC), and are now made available through the RMQSI Knowledge Center. This fifth Toolkit in the popular series developed by Quanterion reflects the updated focus in RMQSI. Several of the same Quanterion staff members have been involved in all five titles in the series. Over 30 new topics have been added, and several others updated, with a minimum removal of topics from the “System Reliability Toolkit”. In addition, Appendices have been added stressing the practical application of the document’s practices throughout a program’s life. The Supportability Toolkit was developed as a guide for government, government contractors, and commercial industry. It provides common sense, up-to-date information for planning and carrying out those activities needed to develop supportable system and products throughout the life cycle of an item. This publication presents electronic part stress derating parameters for 21 part types. It introduces part stress derating theory, definitions, application guidelines and failure mode and mechanism frequency. A more detailed derating section includes application recommendations and specific electrical and environmental derating parameters. Two levels of stress derating are described, one for office type (benign) environments and one for uncontrolled conditions such as those found in an automobile or aircraft. This publication discusses how the effective application of Reliability, Maintainability, Quality, Supportability and Interoperability (RMQSI) tools and processes will ensure that essential warfighting capabilities are delivered that meet system suitability requirements at the most affordable cost. Free OR2CA Software Tool – purchase this book and receive the Optimized Reliability Requirements and Cost Analysis (OR2CA) tool, a methodology for developing contractual reliability requirements that are fully aligned with stated end-user operational reliability needs and expectations, utilizing the DoD RAM-C Rationale Report Manual to optimize Total Life Cycle Cost (TLCC). The objective of the “Impact of ‘Green’ Technologies on System Reliability” Handbook is to identify the reliability considerations related to key green power generating technologies (solar, wind and geothermal), and to present methodologies and/or models useful in the identification and mitigation of reliability risks. This document is specifically targeted to address this problem, outlining the competing approaches to part reliability predictions, including Statistical Analysis of relevant failure data, Physics of Failure modeling, Empirical Failure Models and Data, and other less common but acceptable methods. The intent of this book is to provide guidance on modeling techniques that can be used to quantify the reliability of a product or system. There are many ways in which this can be accomplished, depending on the product or system and the type of information that is available, or practical to obtain. This book reviews possible approaches, summarizes their advantages and disadvantages, and provides guidance on selecting a methodology based on the specific goals and constraints of the analyst. 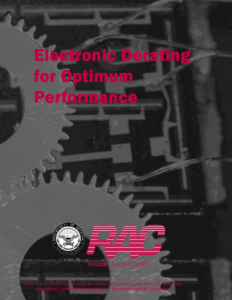 This update to the RIAC’s “Failure Modes, Effects and Criticality Analysis” addresses a number of significant advances from the traditional hardware-centric approach described in MIL-STD-1629A, including Design vs. Process FMEAs (as described in SAE J1739), as well as additional factors to recognize the importance of software and human factors in today’s increasingly complex systems.